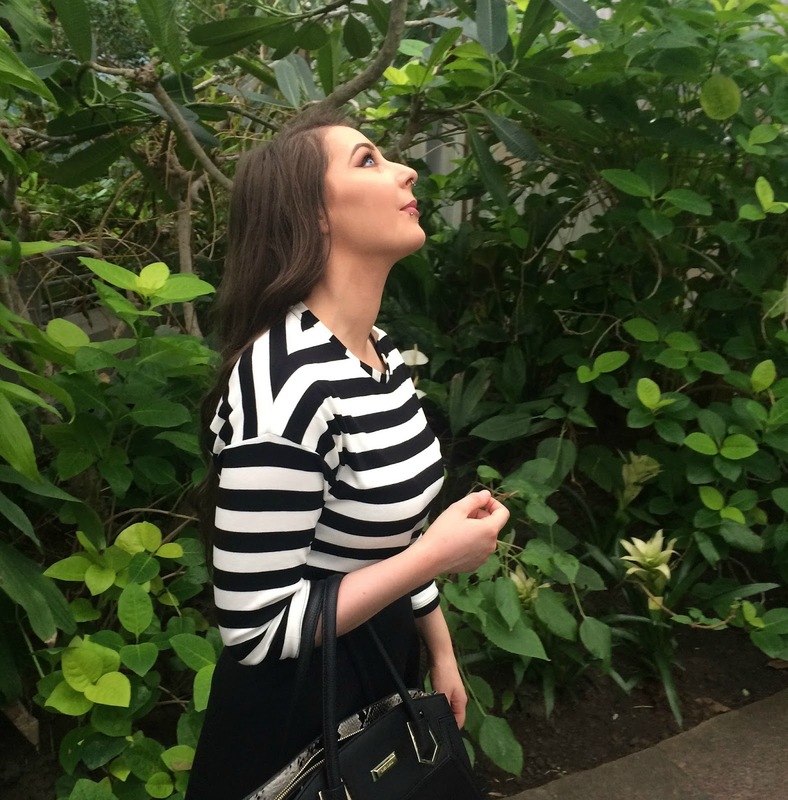 Eimear McElheron : My Trip To Amsterdam: Thoughts and Tips! 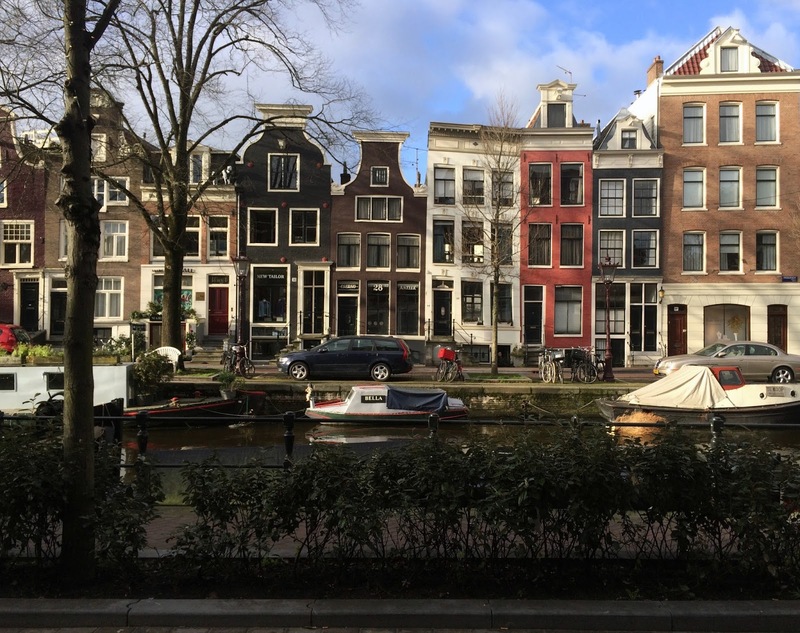 My Trip To Amsterdam: Thoughts and Tips! On the 6th of January I jetted off to Amsterdam for three nights, a very nice way to ease into the month I must say. I haven't travelled to many different countries so I was extremely excited to get away to somewhere new. Now that I have been and gone, I think I've caught the bug. As soon as I was home I wanted to plan the next adventure, travelling is definitely something I'm looking into for the foreseeable! Prior to the trip I spent hours upon hours researching various things; from what to do, where to stay, how to get from A to B, etc. I found posts from travel bloggers to be very helpful which is another reason why I wanted to chip in my two cents, I'd be thrilled if my experience helped someone else travelling out to Amsterdam. I booked the entire holiday through the lowcostholidays website. If you are not familiar with the site you begin by typing in where you are flying from and to along with your preferred dates, the site will then suggest flights and accommodation to you. We stayed in the Hotel Casa 400 as it was one of the best selling hotels and was highly rated. The hotel was also only twenty minutes away from Schiphol airport where we flew into. 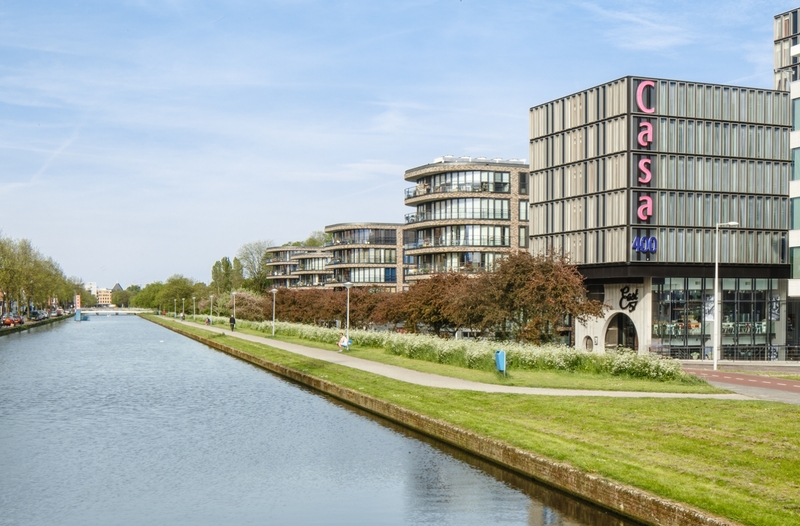 Hotel Casa 400 is located in a great area making travelling to and from famous attractions and museums very easy to do. Even though the hotel isn't smack bang in the middle of the city, Amstel Station is only a 5 minute walk from the hotel and from there Amsterdam is your oyster! I was very pleased with the experience I had in regard to the hotel. 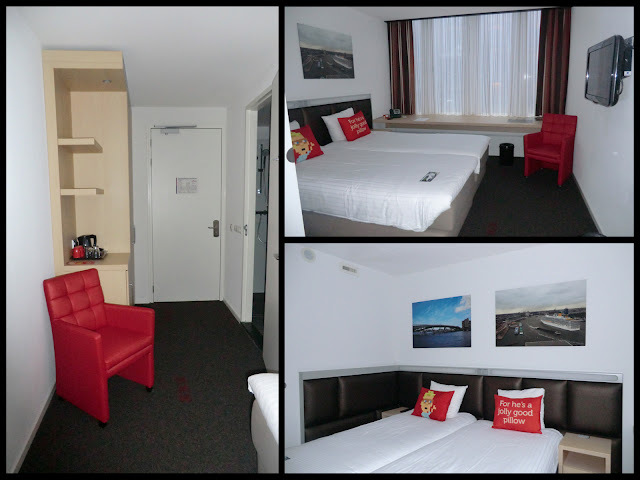 The room was spacious enough, was nice and warm and most importantly was extremely clean. Even though the room was quite plain I enjoyed the quirkiness of it. The pixelated man you see on the pillow was a running theme throughout the room. He featured on the shampoo/shower gel bottles in the bathroom and on the drawstring bag the hairdryer came in. For anyone that knows me personally will know I appreciate a good pun so it will come as no surprise to hear I got a good laugh out of the 'For he's a jolly good pillow' pillow (easily amused, I know). The staff in the hotel were second to none, they couldn't have been more helpful. It didn't matter who was on reception each individual that we dealt with was pleasant and answered any questions we had. The staff gave us advice on modes of transport, rang us a taxi if we needed and if all else failed gave us a map so we could find our own way around, which was actually what we mainly ended up doing. I did include breakfast when booking the hotel but we only ventured down to breakfast on one of the mornings. As each of our days in Amsterdam was jam packed we decided we preferred to lie in, in the mornings and get something to eat while we were out instead. The breakfast was a typical buffet style filled with hot and cold foods. On the morning we went down for breakfast I opted for a salad with some blueberry yoghurt topped with muesli, an apple with a glass of apple juice! The breakfast was really nice but I prefer my beauty sleep and that's how that went. The hotel also had a restaurant where we did eat in the evening but i'll talk a little more about that later. The first thing we did when we arrived was a trip to a coffee shop to refuel before we started our day. 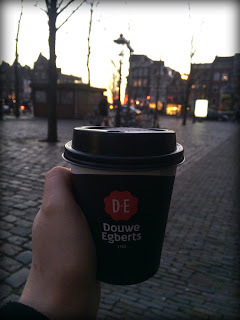 We had a very early morning flight so a good strong cup of coffee was badly needed, afterwards we ventured up to the Albert Cuyp Market. The entire street was lined with stalls of all different kinds and is a great spot if you are one for rooting around and grabbing a bargain. Stalls sold everything from deodorants and hair gels, clothing and underwear, fresh fruit and veg, assortments of fish, accessories, souvenirs...anything you can think of the stalls sold. 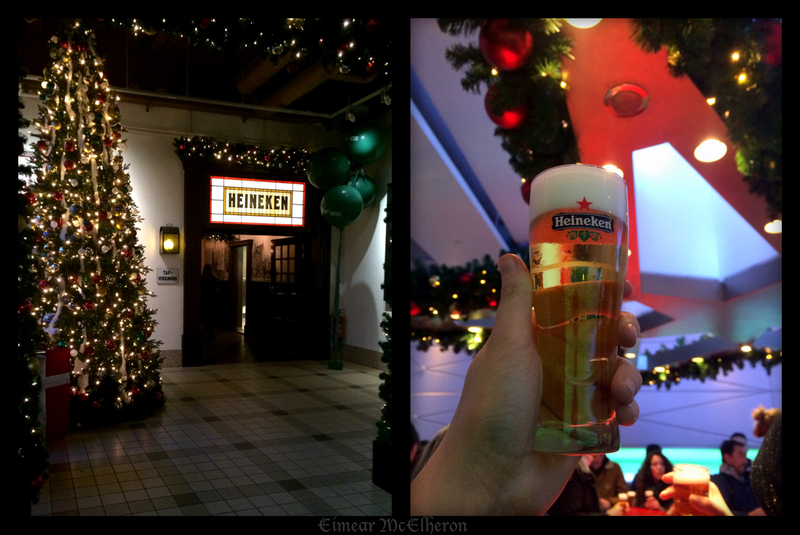 The Heineken Experience is a must do while in Amsterdam in my opinion. The ticket will set you back €18 and you get three glasses of Heineken throughout the duration of the tour. You can take the tour at your own pace and in total I think we spent an hour and a half exploring the museum. During the tour you will learn all about the history of Heineken in a fun and interactive way. I was very surprised just how informative the tour actually was. Soak it all up like a sponge though as it'll come in handy. As you approach the end of the tour there will be a question and answers session so if you know the answer pipe up and you'll bag yourself another beer! You can partake in other activities during the tour unrelated to beer such as making videos, taking selfies, and playing games. At the end of the tour there is a huge souvenir shop. I got a couple of pictures printed out and also bought a personalised bottle of Heineken to take home. Highly recommend the tour, you won't be disappointed! 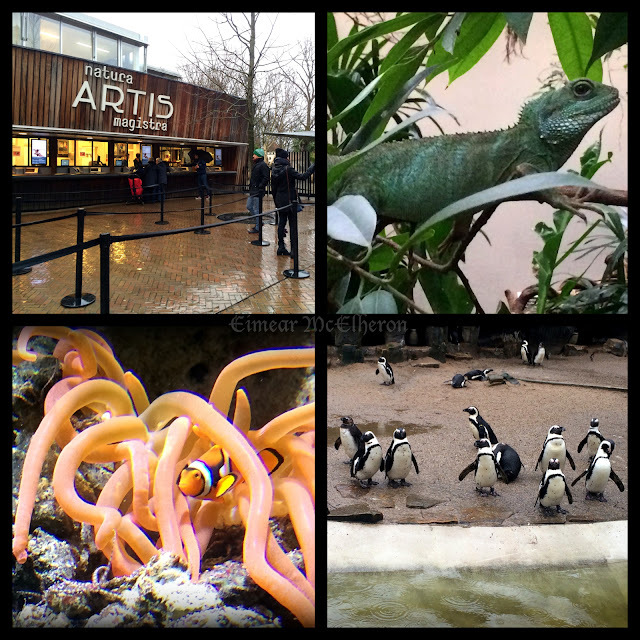 Despite the weather not being on our side the trip to the Artis Zoo was probably my favourite experience from the entire holiday. We had just purchased our ticket, and stepped foot inside the zoo when the heavens opened up. We decided to check out all the animals indoors first, hoping that by the time we were finished the rain would have stopped. If only we were so lucky! If you plan on checking out more attractions on the day you're visiting the zoo, I'd recommend going to the zoo early. I didn't realise how long we would actually spend there, you could have spent the day wandering around. It was absolutely mesmerising. I was not expecting to have been able to roam around in the same room as monkeys, iguanas, butterflies and bats. I won't tell you too much about the animals in the zoo, I'll let you experience it for yourself but it truly was an experience I will never forget! After the zoo we grabbed a coffee and headed out in search of GlowGolf. While we were waiting on our coffee the lady serving us behind the counter passed comment on my makeup, we were chatting for several minutes and I ended up writing down some products for her to try out. Literally every member of staff that I came into contact with, that was a woman, commented on my winged liner. It was hilarious but very much appreciated, the random little chats definitely put a smile on my face! GlowGolf was great crack. We began our game at around 5 o clock but it was quite busy. This meant we had to wait while other players finished the hole before we could start it. That didn't really matter to us though, it was fun watching other players trying to complete the hole. I think I provided entertainment for the players behind us because I was quite terrible, initially might I add! I did redeem myself on the last hole by finishing off with a hole in 1 *fist pump*. To play a game of GlowGolf it'll cost you €10. They also have lockers downstairs for you to put your belongings in while you play and you'll need a 50c coin to use the locker. After a game of GlowGolf we proceeded back upstairs to have a drink before we set off back to the hotel. 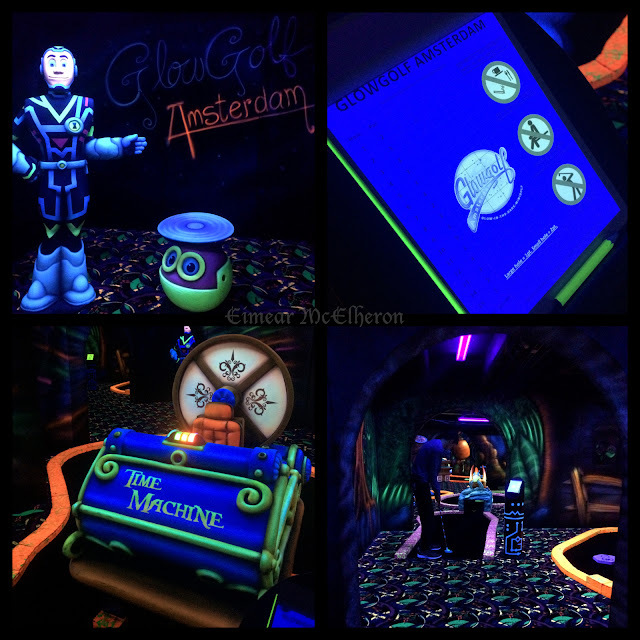 GlowGolf is actually situated downstairs in Noahs Arq so you could definitely make a night of it, have a game of GlowGolf and finish off with dinner and drinks. I wanted to try a dutch beer but was unsure of which to go for, the barman kindly let me sample two so that I could make up my mind. 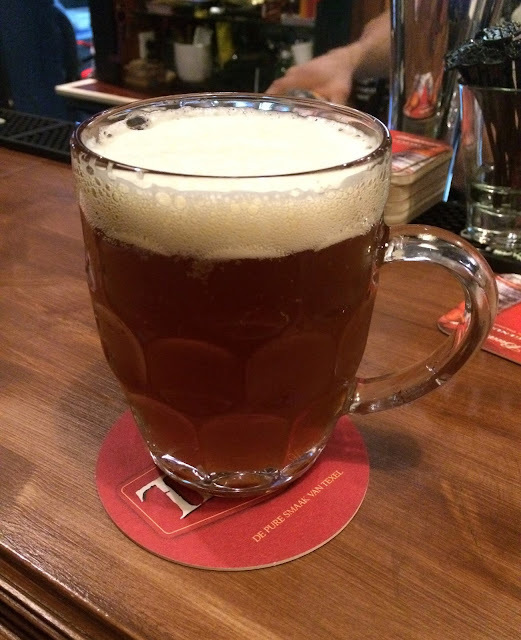 In the end I went with a pint of Texel and it really hit the spot, it was delish! When we had finished our drinks we asked the barman did he have any taxi numbers and he did us one better and rang us a taxi. Again, like I said before everyone we came across was just so kind. A cheeky pint in Noahs Arq was a lovely way to end the day! Sadly our last day in Amsterdam, so we really wanted to get as much done as possible. 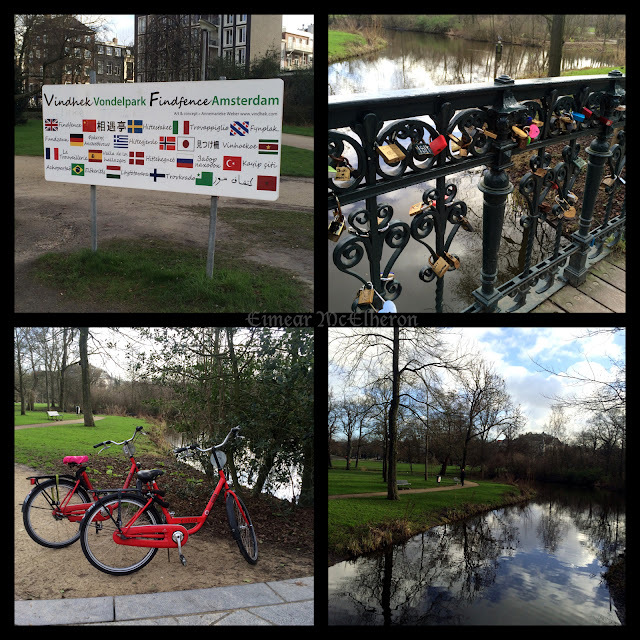 We started off by taking the tram from Amstel Station so that we could get to Vondelpark. Thankfully the torrential rain from the day before had cleared so we were able to enjoy a walk around the park. There was a nice little buzz around, there were families out walking, people running, people walking their dogs and we even spotted a few artists painting too. I can imagine Vondelpark is a perfect spot when the weather is warmer for the likes of a picnic! 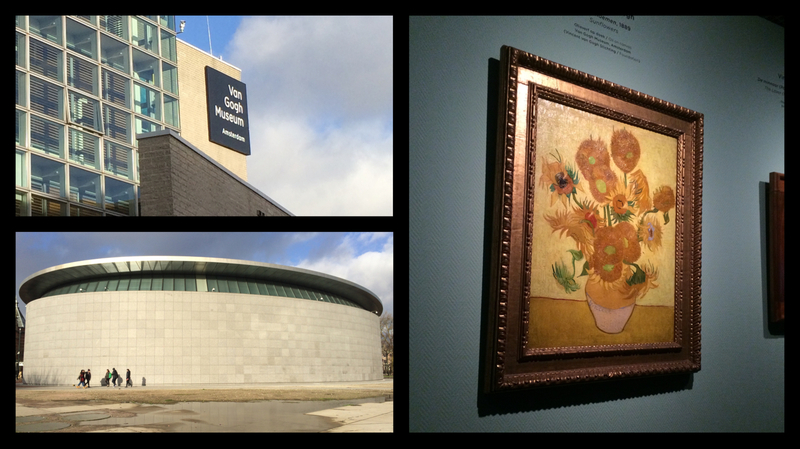 After our walk in the park we did some more walking and headed over to the Van Gogh Museum. I was familiar with Van Gogh from an early age as my Grandad was an artist and he had painted a couple of portraits of Van Gogh. While I was walking around the museum admiring the paintings in awe, all I could think about was how much he would have loved to have been there. It was a fantastic experience. It was around 12 noon when we arrived at the museum and we were waiting inline for around 20 minutes to get tickets which wasn't bad in my opinion. We were that exhausted by the final day that we didn't even think to book the tickets in advance online. When we touring around the museum the paintings were quite crowded so I would recommend getting in early. It was €17 for a standard tour ticket or €22 for the audio tour. I'd recommend the audio tour but if you get a standard ticket there is lots of information displayed around the rooms in relation to the artists work. A must see if you're in Amsterdam! There is a gift shop in the museum too but a lot of the items are pretty pricey. I picked up a few post cards and a couple of bookmarks and that suited me dandy! 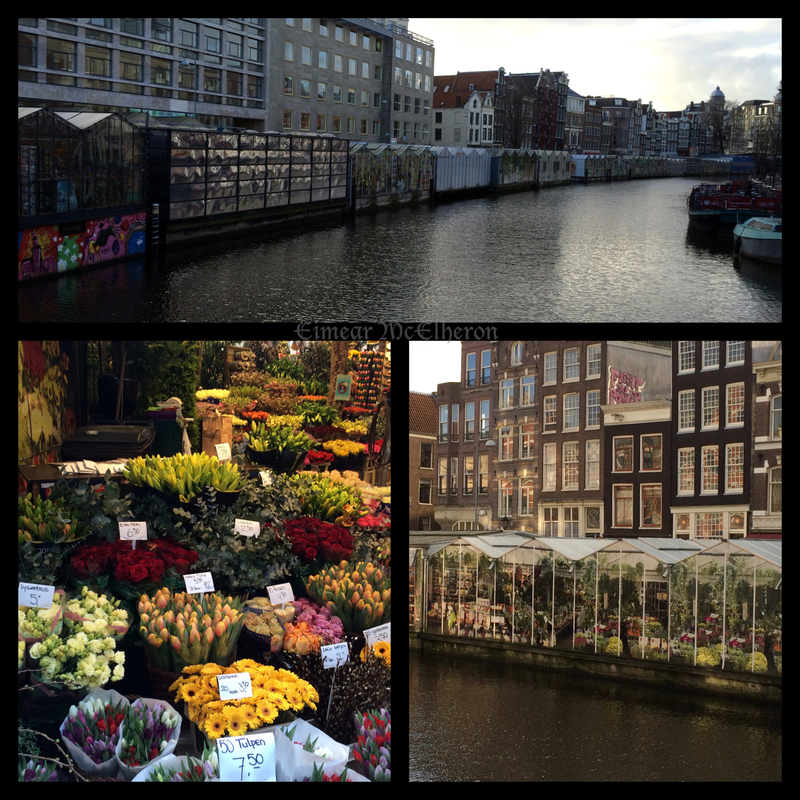 Bloemenmarkt is the only floating flower market in the world so definitely worth a trip in my book! Naturally the side of the street by the canal is lined with various market stalls while the other side is filled with souvenir shops, cheese shops, cafes etc. A lot of the stalls are similar in stock but not in price. I picked up some tulip bulbs to bring home for my Nana as she has a fantastic garden filled with gorgeous flowers. If like me you intend on picking up bulbs or flowers for yourself or for as a present, make sure you shop around. Don't buy from the very first stall you see as the stall next to it could have the same item for a little cheaper! The bargain hunter in me is always on the watch haha! This one is for the makeup lovers out there! 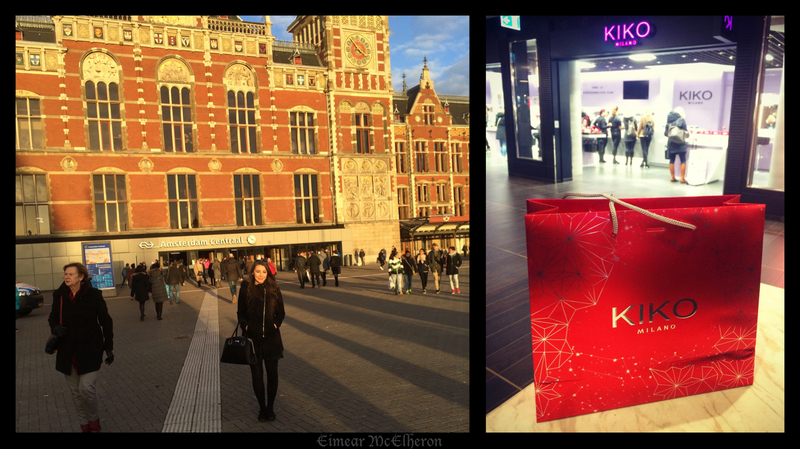 After we were finished looking through the flower market we then walked to Centraal Station so I could visit KIKO for the first time ever. KIKO unfortunately isn't available in Ireland so I made it my mission to get to that store. 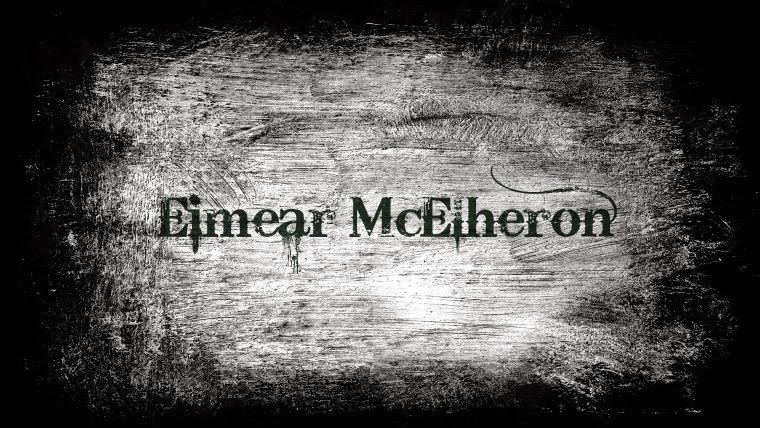 I'm aware we can order products online and get them shipped to Ireland but I don't like doing that with a brand I'm not familiar with, I prefer to be able to test out the products before I buy them. Sometimes when you swatch a product the makeup doesn't apply to the skin as it appears in the pan. That can be disappointing but more importantly to me it can be a waste of money. Finally then we took a cruise of the canal which was a really nice way to end the holiday. The Amsterdam Light Festival was taking place at the time we were on holiday so the cruise was high up on our list of things to do. In a nutshell the light festival is a 55 day event dedicated to a particular theme each year, with this years theme being 'Friendship'. Each year thousands of individuals from around the world present their work with the hope it will be featured during the festival. Judging takes place and only the top light features that reflect the theme are displayed. 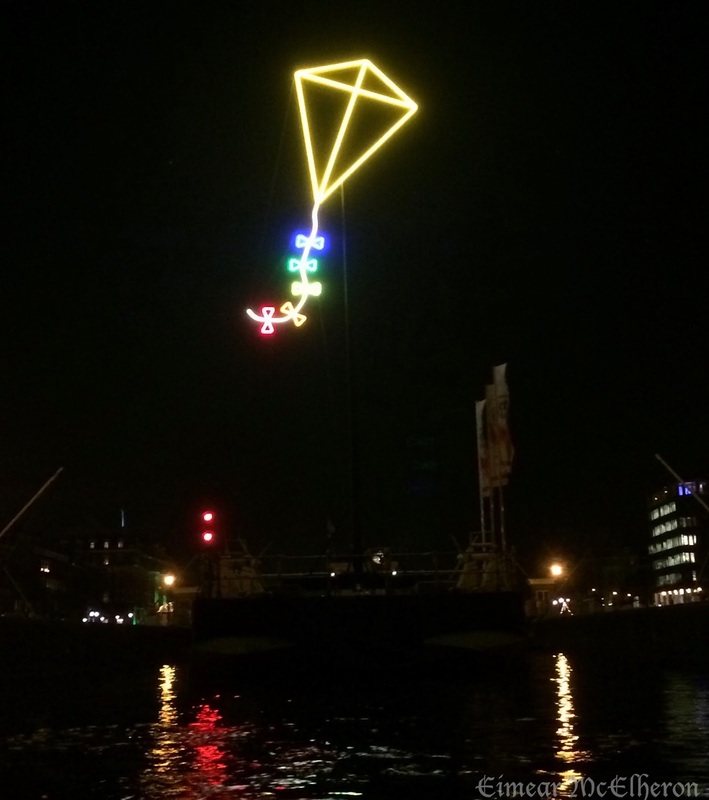 There are two ways that you can explore the art showcased, either by taking the boat route or the walking route. We booked the boat route through one of the tourist offices and the company we ended up cruising with wasn't the company we set out to go with. Initially we planned on doing the water colours open boat cruise with the Canal Company but the man in the tourist office recommended the Lovers cruise instead. After a bit of deliberation we settled and went with his option. The Canal Company cruise (which we didn't go with) was pretty much outside Centraal Station where we had just come from so it would have been only a five minute walk back there. The Lovers cruise was a twenty minute walk from where we were and by day 3 our legs were walked off us so the distance wasn't ideal. The only thing keeping me going though was the fact the cruise departed from outside the Anne Frank Huis. Unfortunately tickets were sold out for when we wanted to go so I was happy that at least I got to see it from the outside. 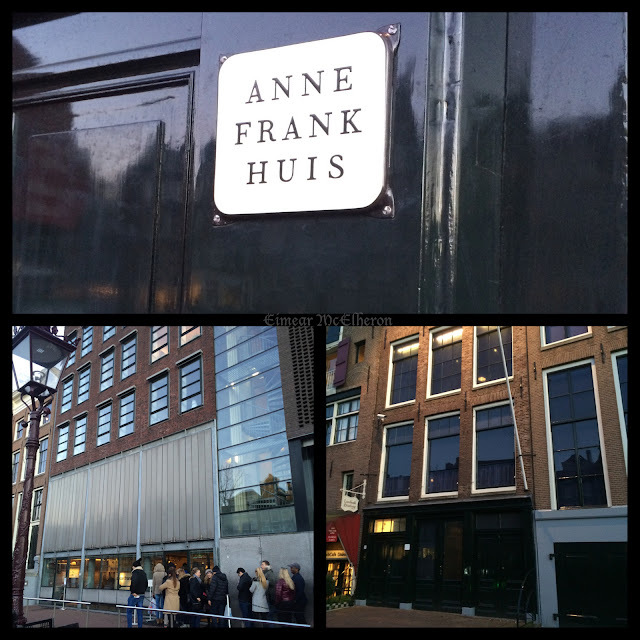 If you are looking to visit the Anne Frank Huis, book tickets WELL in advance! The Lovers canal cruise cost €19 with the discount, €20.50 without, and the cruise itself lasted for around an hour. It is an audio tour which is handy because you get to learn a little bit about each of the works of art, who created them and the inspiration behind it. The only reason I wasn't entirely happy with this particular cruise was because the Captains radio went off numerous times throughout the tour making it hard to hear the audio tour. Other than that though we were pleased with the experience. 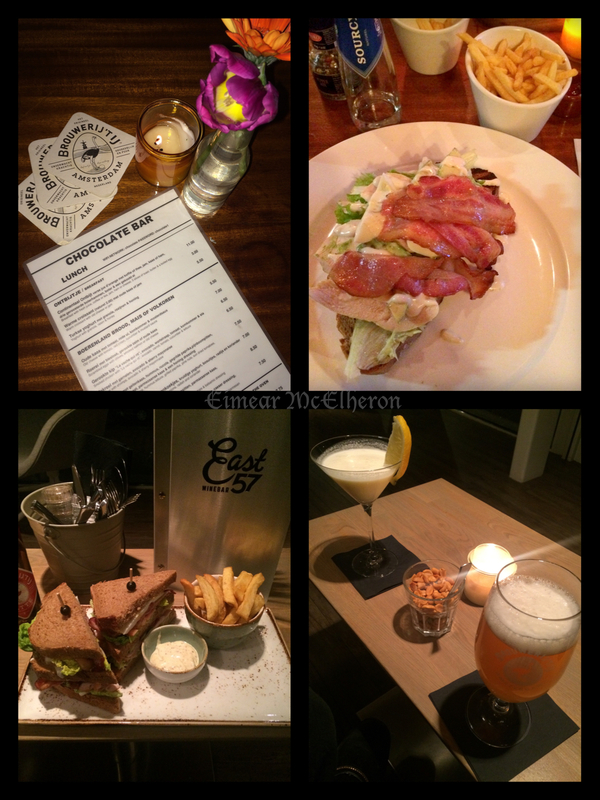 Unfortunately I can't really help you on the food and drinks front but two places that we did go to were The Chocolate Bar and East 57. The Chocolate Bar is situated not far from the Cuyp Market and the food is reasonably priced and tastes delicious. One of the nights we ended up getting back to the hotel quite late so we grabbed a bite to eat before bed in the hotels restaurant, East 57. We both had the club sandwich which came with a side of order of chips and was only €10.95 so again, very reasonably priced. 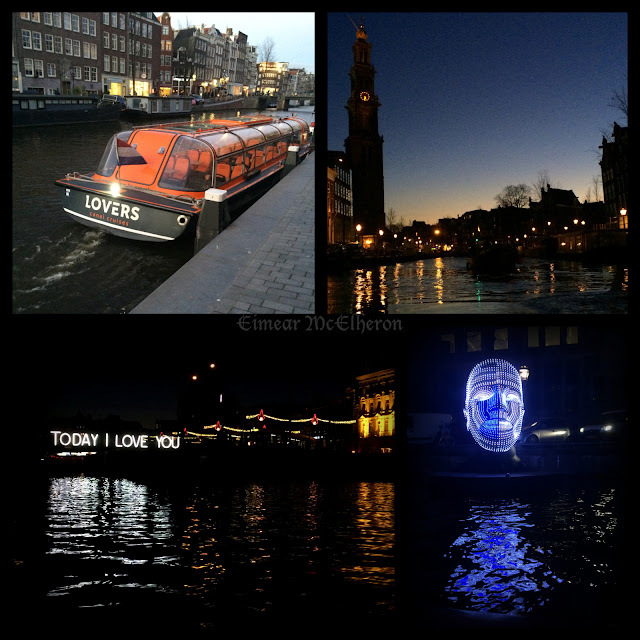 Below I'm going to list and little tips I picked up during my stay in Amsterdam or any details that I think are worth noting that may benefit you on your stay. Discounts: Take a trip to the tourist office if you plan on taking trips to numerous museums and visiting other attractions. There are tourist offices everywhere and if you book your events through these offices you'll get discounts. Skip the Que: It's also worth looking into buying tickets with a fast track pass so that you don't have to spent your time waiting in line. You can pre book tickets online or do so in the tourist office as mentioned above. Public Transport: We mainly walked from place to place and didn't avail of the transport system too much. This meant we had a LOT of walking to do but it also meant we really got a feel for the place. We used the Metro and trams a couple of times, an hour pass costs only €2.90 and is valid from the moment you scan your ticket, be sure to check in and out! If you are going to be travelling a lot throughout Amsterdam I would recommend looking into a travel card such as the GVB cards. A 1 day pass is €7.50, a 2 day pass is €12.50 and a three day pass is €17. 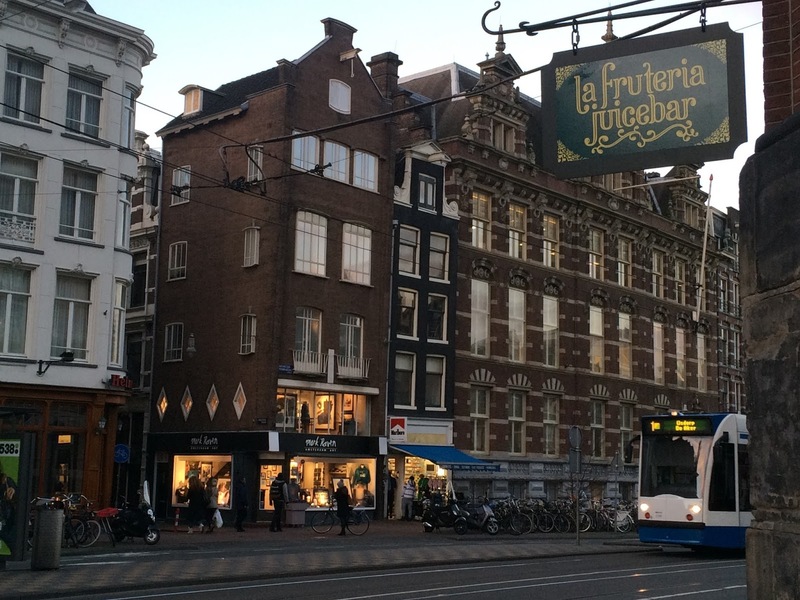 These passes entitle you to unlimited travel through Amsterdam by bus, metro, or tram so they are extremely convenient and well worth the money if you will be frequently availing of the public transport system. Toilets: Out and about and need to use the bathroom? Well, it will cost you .50c to do so. Most of the restaurants we were in charged to use the toilet as did the tram/metro stations. Cross with Caution: If you see this man and he is beckoning you to cross the road, don't. Do not trust him under any circumstances, if he appears do not cross the road, I repeat DO NOT CROSS THE ROAD! Hot Drinks Come in Tiny Cups :'( : A complete first world problem I know. If you are purchasing a hot chocolate or a cup of coffee in a restaurant or a coffee shop whether it be to stay or go, be aware that for your €2.50 it's going to come in a tiny cup. I'm talking children's tea set size, well, maybe not that small but you get the idea. At least thats the way it worked in all the coffee shops that I went into. The same applies if you purchase a hot drink from a stand on the street it will come in a small cardboard cup. If you drink a lot of coffee like myself and want to save yourself a few bob, I would suggest bringing a flask. There is a Lidl close to where the Heineken Experience is, pick up your drink of choice, add it to your flask, and you're good to go! Bottled Water: Water is around €2.50 in shops and restaurants and €3 or more in the airport. Just something to note! Keep to your Lane: Something we didn't do a lot of the time *gulp*. Cyclists rule the road and they show no mercy let me tell you. There is a lane dedicated to cyclists and then a footpath for pedestrians, make sure you are walking on the correct path! I Amsterdam Pass: If you plan on doing a lot of museum tours I would suggest looking into purchasing this card. Along with offering you free entry to a lot of museums, transport, other popular attractions are included too. Comfort: Bring a decent pair of walking shoes, you'll thank me later! I think that is just about everything that I can squash into this blog post, if you're still with me at the end...fair play! 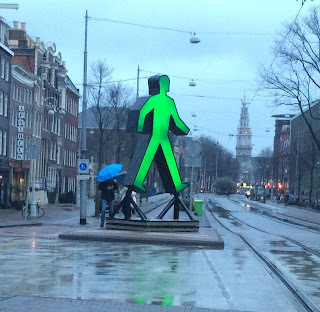 I just thought I would share my experience in the hope that it may benefit you and perhaps give you a few ideas if you are planning a trip to Amsterdam. It's definitely somewhere I will go back to, three days definitely wasn't enough to do all the things we wanted to do but I think we conquered enough during our stay! I hope you enjoyed the different style of post and i'll see you all again soon with another beauty related one!